The first tab in the Video Streaming or Enterprise Video Streaming Dashboard deals with basic information for your Channel. On the Channel Info tab, you can name the channel, upload a picture to represent your channel, or delete your channel. Here, you can see your channel name and the URL for your channel. 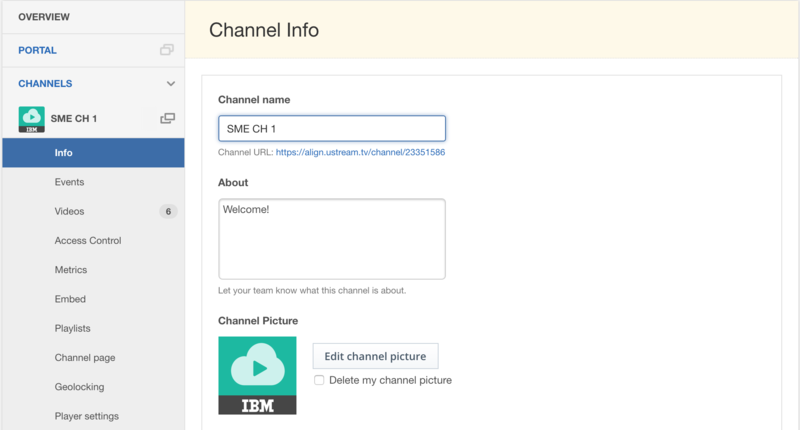 Although you can rename your channel at any time, please note that this will not change the channel URL. Here you can see the image you have chosen for your channel, and change it if you wish. Click on the Edit channel picture button to change the image. After clicking on the Edit channel picture button, you can upload a new image and resize it. 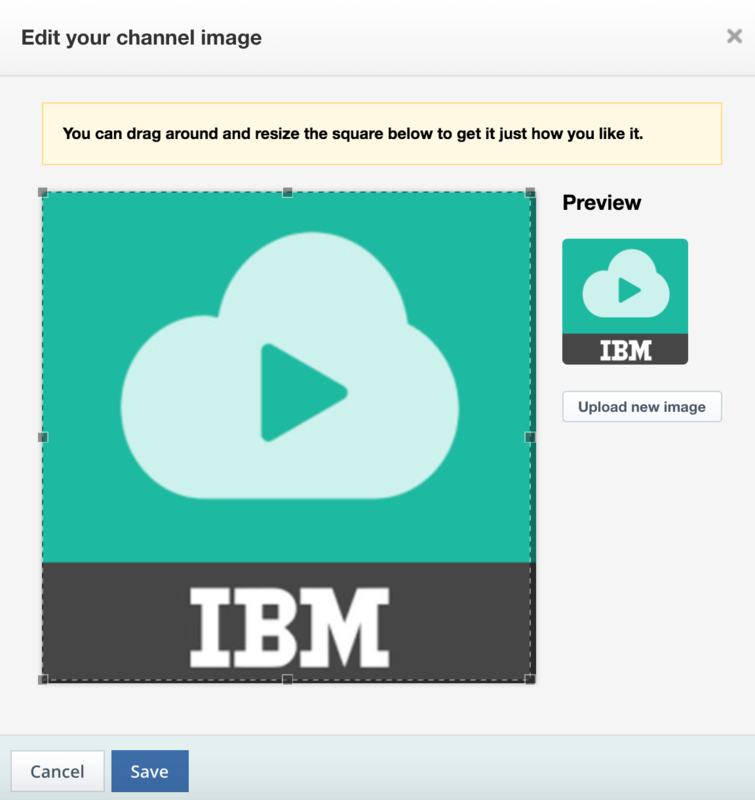 All channel images will be square, and cannot be resized to a different shape. Click on the Save button to save this image. Choosing the primary language for your videos supported by the channel will auto generate captions from the IBM Watson Speech to Text to be on display after your broadcasted video has fully been processed. You may choose to automatically publish captions, but it is best practice to edit and spell check the webVTT captions for accuracy before publishing. Click here for more on Watson generated captions for video. Once you have chosen your channel name and image, click the Save button in the lower left of the page. If you would like to delete the channel, click the red 'Delete Channel' link in the lower right of the page. IMPORTANT: Be sure to download or otherwise save any videos from your channel before deleting. Any assets stored on the channel will be lost after clicking the Delete Channel link.